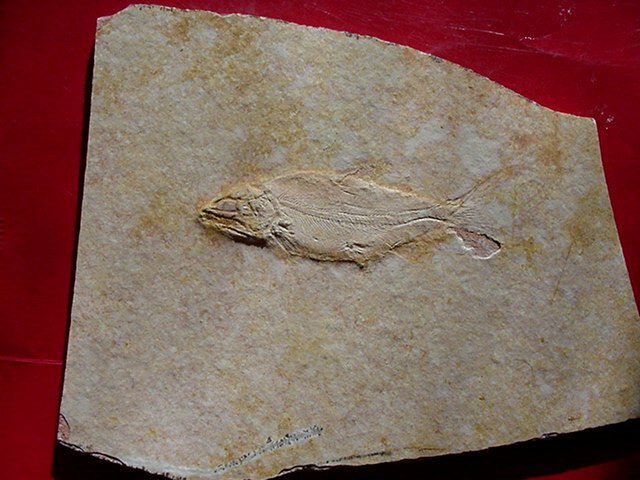 Description: This is a very well preserved fossil fish from the world famous Solnhofen Limestone. 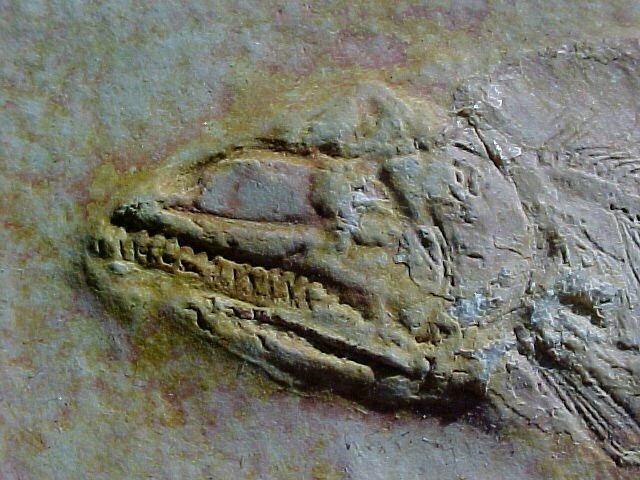 The skull shows the teeth and various parts, the skin is present as well as the various fins, an example of fince soft tissue preservation. Note the interesting pink tones in the matrix. There are no repairs or enhancements to this specimen. 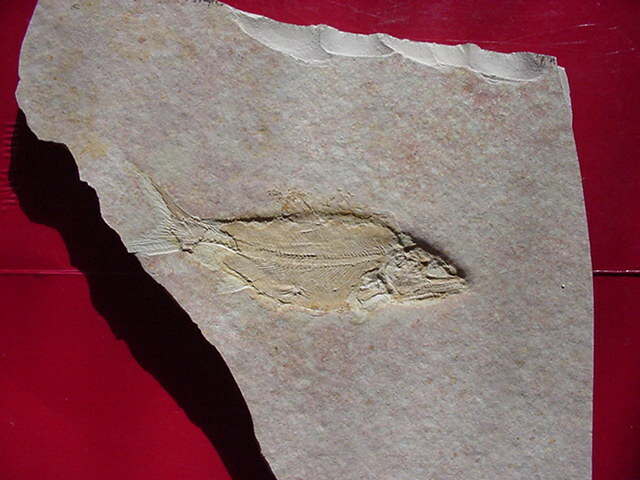 These deposits were formed in a warm salt-water lagoon. 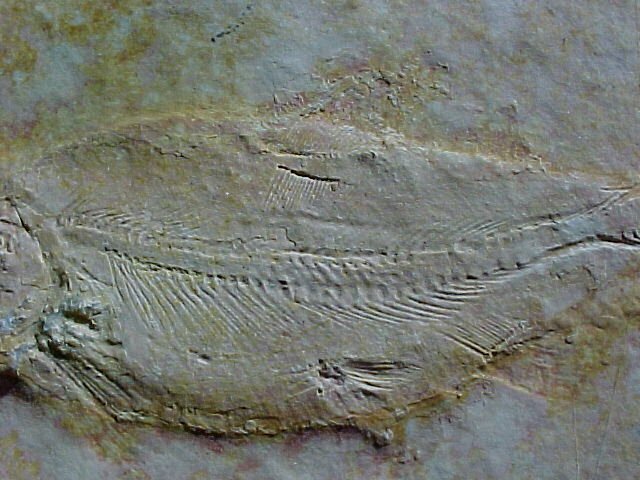 All kinds of plants and animals were incredibly well preserved, including soft-bodied organisms and one of the world's most famous fossil Archaeopteryx, an early bird.